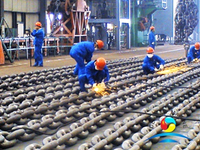 Stud Link Mooring Anchor Chains fabricate from R3 up to R5 – a material composition ideal for the offshore industry. 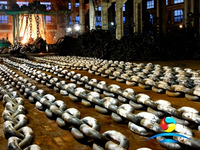 The extremely high quality of the material makes Offshore Mooring Stud Link Anchor Chain has a perfect fit to meet your challenging offshore mooring requirements. 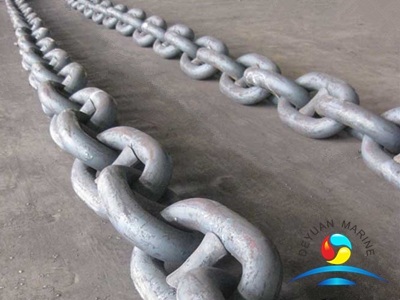 Deyuan Marine has full range of Steel Mooring Stud Link Anchor Chain – The DIA size of Steel Offshore Stud Link Anchor Chain from 34 mm up to 162 mm – in stock to guarantee excellent availability. 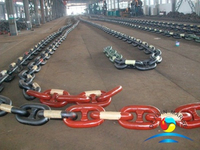 These strong RQ3 Stud Link Offshore Mooring Chains are suitable for the offshore industry. If you are not sure the details our technical team can help you to select the right one for your purpose. 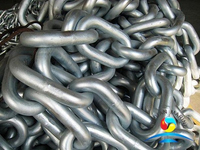 RQ3 Grade Steel Stud Link Anchor Chain are approved by ISO 1704 standards and other marine certificate. 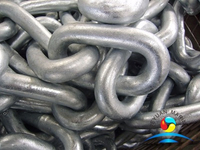 Used for anchor and mooring chains, stud link chains have a central stud for extra strength. 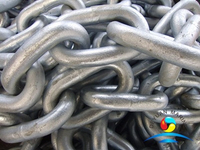 Studlink chains are available in various grades from R3 up to R5. 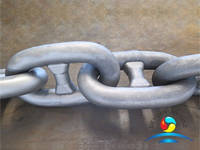 The DNV Certificate Offshore Mooring Chain in R3 and R5 are the most used anchor chains for commercial shipping. 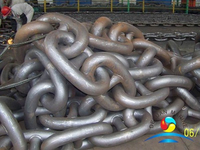 The difference between R2 and R3 is the additional heat treatment process after manufacturing of the Offshore Used Mooring Stud Link Anchor Chain that upgrades the quality. 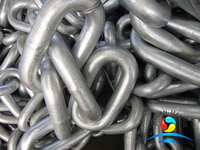 Normally Offshore Industry Used Stud Link Anchor Chains are available in black (tarred), galvanised and stainless steel. 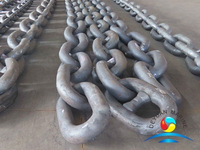 Below is the data sheet of Marine stud link anchor chain for your reference . 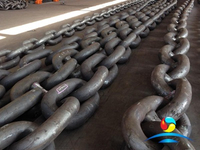 More RQ3 grade stud link offshore mooring chain can be offered,pls contact us for more details.